The 1908 pattern Cavalry Troopers' Sword combines a straight cut-and-thrust blade with a plain polished steel bowl guard with beaded edge. The red vulcanite grip features fine milling and a pronounced thumb indentation for improved handling in the thrust. 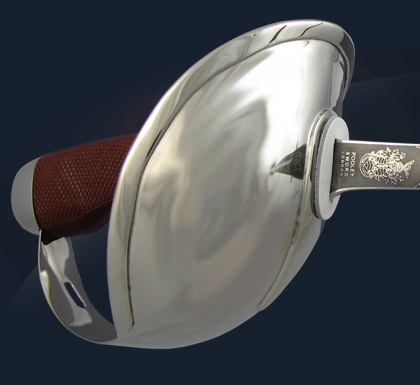 The scabbard is manufactured from nickel-plated steel, with two fixed rings at the mouthpiece. 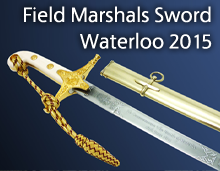 The Cavalry Troopers' Sword is widely acknowledged to be the finest cavalry sword ever made. Its revolutionary design sprang from intensive trialling of experimental designs during the South African campaigns of the late nineteenth century and resulted in a weapon that excelled in strength, lightness and balance. With its exceptional length, the new sword replaced the traditional cavalry lance with a weapon that gave much the same reach. Ironically, however, the perfection of the 1908 pattern came just too late. 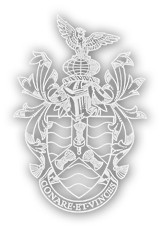 For although it was used early in the First World War, the era of sword fighting had effectively come to a close.